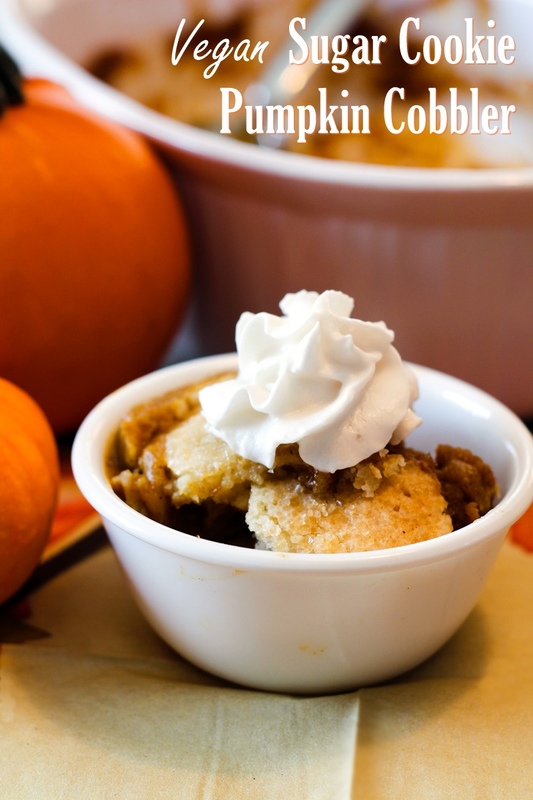 I’m always on the lookout for fun, festive recipes that are easy for kids to make, and this vegan sugar cookie pumpkin cobbler is a perfect Kids Can Cook Thanksgiving recipe. 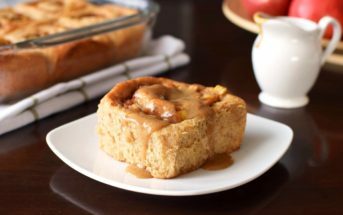 A couple of months ago, I saw a Snickerdoodle pumpkin cobbler recipe in a Better Homes and Gardens recipe booklet. I loved the idea and spent some time altering the recipe for our tastes. I made the topping with homemade sugar cookies instead of Snickerdoodles, since our family likes sugar cookies better. 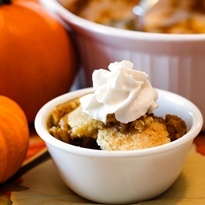 Some pumpkin cobbler recipes use nuts for the topping, but I wanted ours to be nut free. So I topped the cookies with turbinado sugar to provide that needed texture and crunch. And of course I changed the original recipe from dairy-rich to dairy-free. But I also made it egg-free and vegan. Making a vegan cobbler means that more people can enjoy it, and it also means that no one needs to worry if little (or big) bakers sneak a taste while they’re baking! 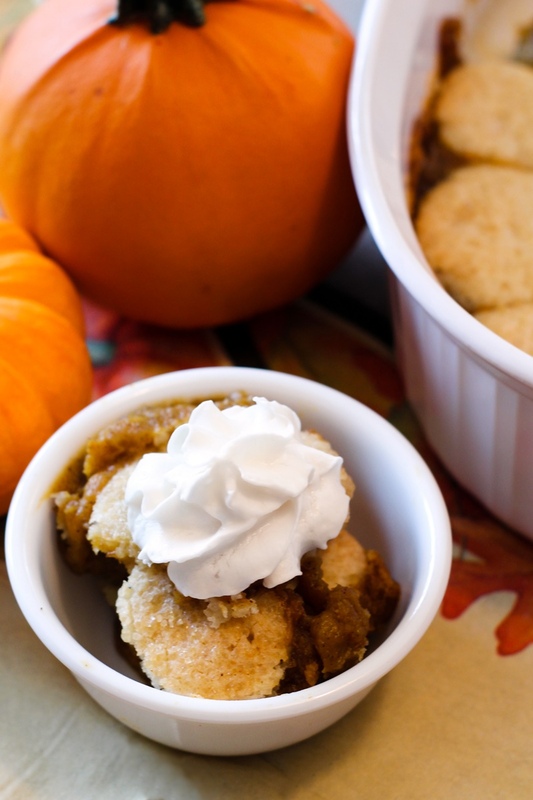 As tested in our home, teens and older kids can easily assemble and bake the entire vegan sugar cookie pumpkin cobbler by themselves. Younger children can mix the pumpkin filling and cookie dough and help shape the sugar cookie balls and roll them in sugar. It’s a cobbler, which is a rustic dessert, so precision in sugar-cookie shaping isn’t necessary. So often holiday meal planning is left to the adults. 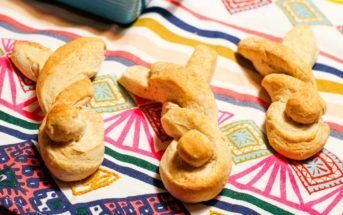 It’s nice to have recipes for kids to make and share with everyone as well. Even in families with a longstanding Thanksgiving menu tradition, no one ever turns down an additional dessert. Because the filling is egg free, the final pumpkin filling has almost a pudding consistency that contrasts nicely with the sugar cookie topping. Dairy-free whipped cream isn't essential for topping, but it is a nice addition. Please note that the Prep time only includes hands on time, not refrigeration or cooling. Put the buttery spread or sticks in a medium bowl, and beat with a hand mixer on medium speed for approximately 30 seconds. Add the sugar, baking powder, and salt. Mix until just combined, scraping down the sides of the bowl as needed. Add the applesauce, and mix just until combined. Add the flour and mix or stir until just combined. Cover the dough and refrigerate it for at least 1 hour. Once the Sugar Cookie Topping has been chilled, preheat your oven to 350ºF and grease a 2-quart baking dish. Put the pumpkin, coconut milk, sugars, flour, pie spice, and salt in a large bowl and whisk until smooth. 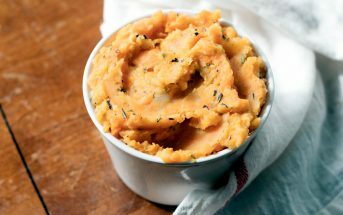 Pour the pumpkin mixture into your prepared baking dish. Divide the sugar cookie mixture into 16 portions and roll each portion into a ball. Roll the balls in the turbinado sugar to coat. Press the sugar cookie balls to flatten them into 1¾-inch-diameter rounds and place them in a single even layer over the pumpkin filling. Bake for 35 to 45 minutes, or until the filling is set and the cookies are firm and a light golden brown. Let cool for 15 minutes on a wire rack. Serve topped with dairy-free whipped cream, if desired. Want More Family-Friendly Recipes? Get Go Dairy Free!